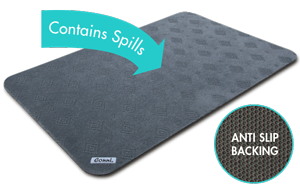 The Conni Absorbent Anti Slip Floor Mat is made of a heavy-duty; super absorbent top and anti-slip nitrile rubber base. 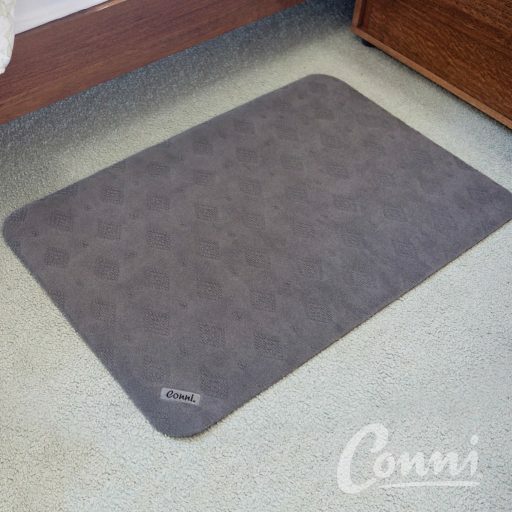 The Conni Absorbent Mat is designed to sit firm and flat on the floor to help prevent trips and allow frames and walkers to travel over safely. The serviceable colour hides moisture and stains. Convenient and durable; the absorbent anti slip mat is easy to wash by hand or in a top-loading washing machine and dries quickly on the clothesline. The Conni Absorbent Anti Slip Floor Mat is available in one size – 23.6″ x 35.4″ (60 x 90 cm).